In its third meeting this week, the Senate Committee on Education heard 26 bills in this morning’s three-hour session. 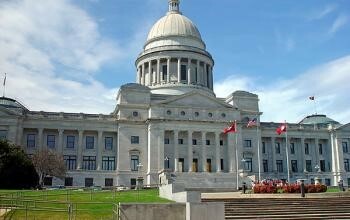 Among those having broad interest for Arkansas K-12 were bills on PARCC, an alternative path to graduation, care for students with diabetes, best practices in special education, scheduling flexibility, and school safety. Senator Joyce Elliott presented SB212 to establish a re-engagement system so that students 16-21 years of age who have completed fewer than one-half the credits for graduation may earn a diploma. Representatives of a high school, a two-year college, and the armed forces joined Elliott in offering several scenarios in which a student may use a “differentiated pathway” to graduation, rather than dropping out or getting a GED. A student who masters complex computational skills in a welding course at a two-year college or technical institute, for example, may be able to earn concurrent credit for high school algebra. Programs would be skills-based and student-driven, and school districts may elect whether to participate. The bill passed. Senator Elliott also presented HB1395 that would authorize a volunteer to administer insulin and glucagon to a student with diabetes, but only in an emergency in which the school nurse is unavailable. The bill specifies that a student’s parents must have made a request in advance, and the student’s physician must approve the request. A school employee may volunteer and must be trained. The parent of a diabetic student explained her support for the bill; a representative of the Arkansas State Board of Nursing and a Little Rock School District nurse spoke against the bill. The bill passed. After initially decrying “another task force,” the Senate committee passed HB1485 to establish a task force to study special education best practices as shown in research and to review a variety of current practices detailed in the bill. The bill also specifies task force member selection and reporting deadlines. The committee passed HB1527 to give school districts flexibility in scheduling art, music, and physical education in 40- to 60-minute periods. Current law sets art and music classes at “no less than 40 minutes” and physical education classes at 60 minutes per week. The purpose of HB1527 is to allow districts to schedule those classes in equal periods if desired. Committee members commented on the number of emails from constituents concerned that one or more of the three courses might be in jeopardy, which is not the aim of the bill. Rep. Bruce Cozart presented HB1653 to establish the 2015 School Safety Act. The bill modifies current school safety policy to include a panic button alert system that connects a caller with 911 and notifies on-site personnel simultaneously. One feature of the system is an app that allows authorized users to activate the panic button with a smartphone. Cozart gave examples of using the app in case of a bus accident, a health emergency, or an active shooter. An amendment to the bill clarifies that the system is contingent upon funding, and Cozart said that numerous policymakers are working to identify funding sources. The bill passed. The Senate Committee on Education plans to meet on Monday, March 23, upon adjournment of the Senate session.